There are SO many bugs about at the moment - It doesn't help working in a school! Lots of staff are off sick and I made this card for one of them. I was inspired by this Gorgeous card on Pinterest Created by Becky - Do go check out her blog. I used the fab Tim holtz distress stains and sprays to spray and splog onto my card first . Then stamped and cut out a couple of butterflies and a message. Hope you are all keeping well . Fabulous card Sue. The lovely cheerful colours would brighten anyone's day. 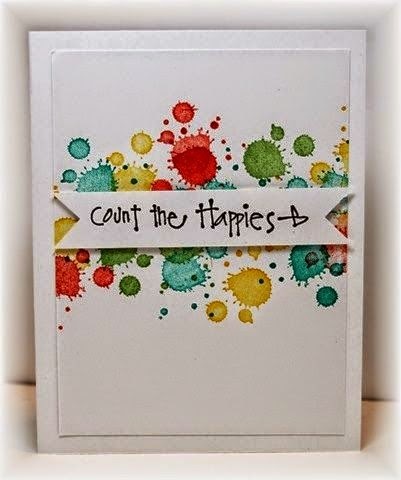 Great cards Sue, love those ink splats.